I’ve shared lots of data and evidence about the harmful economic impact of government spending. Simply stated, budgetary outlays divert resources from more productive uses. And this results in labor and capital being misallocated, leading to less economic output. The damage is even more pronounced when you look at how politicians finance the budget. Whether they use taxes or borrowing (or even printing money), there are additional distortions that hinder the private sector. Today, we’re going to look at the economic impact of a particular type of government spending. A new working paper by two academics at the University of Miami has revealed a negative relationship between government consumption spending and economic growth. But before digging into the details, what do public finance economists mean when they talk about “consumption spending”? At the risk of over-simplifying, it’s the part of the budget used to purchase goods and services. Everything from soldiers to housing and from jails to education. It’s basically the so-called discretionary portion of the federal budget, minus “investment spending” (which would be things like roads). Anyhow, here are some of the key findings. ect of government consumption on economic growth. That’s a big number, which implies that we’re definitely on the downward-sloping portion of the Rahn Curve. In other words, Obama increased the type of government spending with the worst impact on the economy. 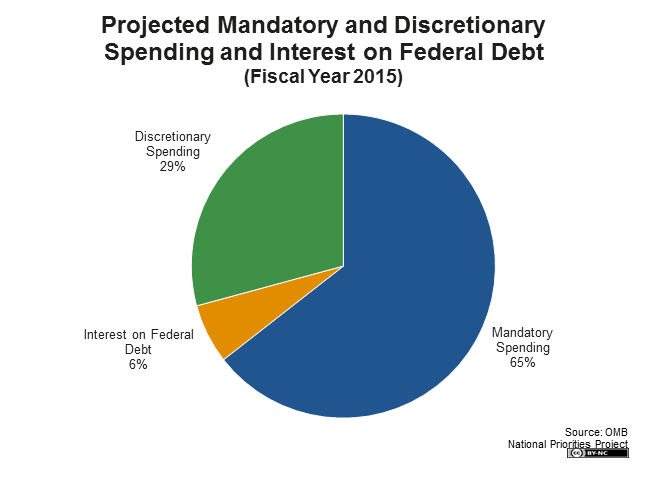 Something to keep in mind when politicians, lobbyists, interest groups, and other insiders argue that there’s no need to cut back on discretionary spending. But even with those caveats, we have another strong piece of evidence that our economy would grow much faster if we reduced the burden of government spending. And if you need more evidence on the harmful effect of government spending (either generally or specific types of outlays), allow me to call your attention to research even from normally left-leaning international bureaucracies such as the Organization for Economic Cooperation and Development, International Monetary Fund, World Bank, and European Central Bank. And you can find similar findings in the work of scholars from all over the world, including the United States, Finland, Australia, Sweden, Italy, Portugal, and the United Kingdom. Isn’t this just the “guns versus butter” curves we were shown in Econ 101? Guns-= government spending, butter= private spending. Nobody put it that way when it was laid out, but that is essentially the message. It seems common sense that govt. investment spending can be good. As staunch Libertarian, I never minded work programs as long as there was something produced at the end of the day that would “pay” back the investment. The only danger on government investment spending is that if there is a misjudgement, the bill can get big quick with no chance of recouping the losses. It would be best if govt. acted more transparently in such cases and funded those endeavors the old fashioned way … sell bonds. If people see the value in the endeavor, they will buy the bonds for that specific purpose. If the people don’t see the value in it, we shouldn’t have bureaucrats shoving the bad ideas down our throats anyway. Literally, if all activities outside core government operations were simply funded by bonds, we the people would have a line item veto on everything they do … not to mention that we would have higher expectations for returns on various govt. projects. Various agencies would have higher standards for cost vs. performance. It is not surprising that “government investment” spending is positively related to growth. Like all other government spending such decisions are supported by interest groups. “Bridges to nowhere” are the exception. Normally there is some justification for the investment. The problem with such investments is that the market would have chosen better and the project could have been accomplished more efficiently, creating a higher growth return.